From the coastal metropolitan hubs such as New York and San Francisco, to popular millennial centers such as Austin and Atlanta, a new urban transportation trend is catching on in the streets. It could pave the way for new insurtechs to enter the market and present ecosystem partnership opportunities for established carriers. Dockless, park-anywhere electric bikes and scooters, which customers can rent through mobile apps, have been popular in Europe and China for some time now. In China, there are some 23 million shared bikes on the streets. In April, Mobike, one of the country’s largest bike sharing companies, was purchased for $2.7 billion. This spring and summer, the numbers of these smart personal mobility vehicles have absolutely skyrocketed across the United States. 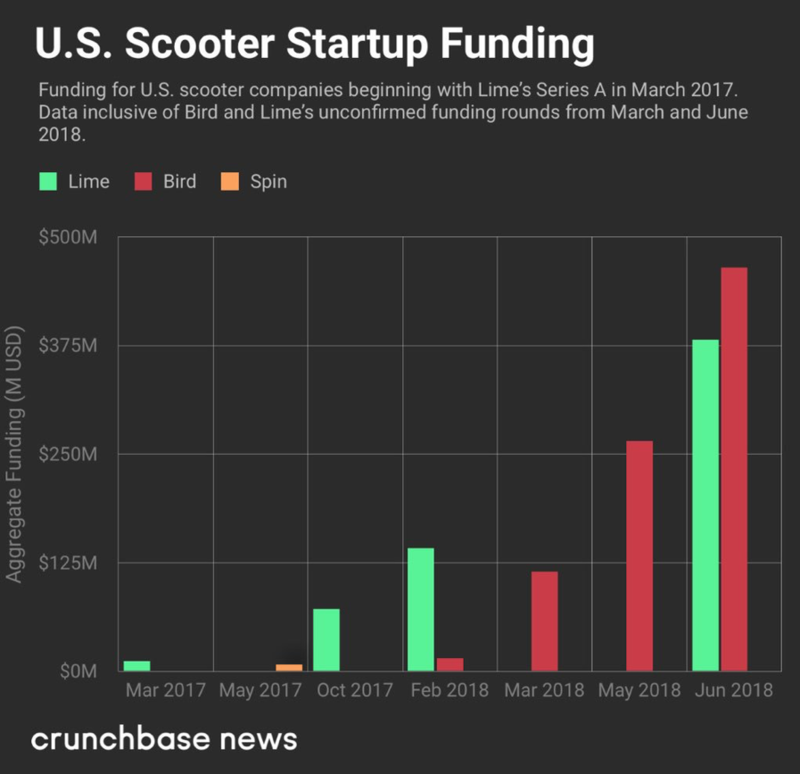 Lime claims to be in 70 markets with 35,000 bikes and scooters. In July, Uber announced its partnership with Lime, valuing the business at $1.1 billion. CNet Magazine, in its self-described “Irreverent Guide,” reviews the other big players in the industry, including Bird, Jump, Spin and Ford’s GoBike. Ford GoBike operator Motivate expects to have 32,000 vehicles soon. 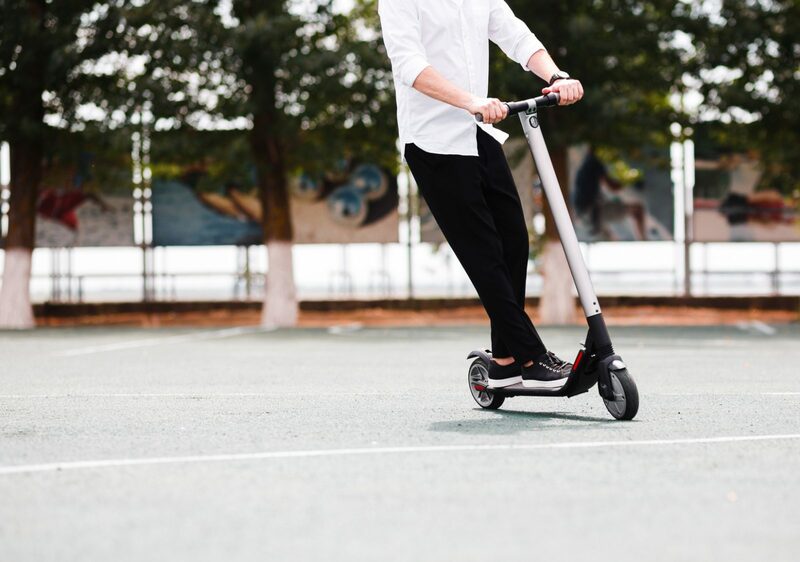 Bird has thousands of scooters in 30 U.S. cities, Scoot has nearly a thousand, and Jump has 500 electric-assist bikes plus some 15,000 pedal-only ones. While the early media coverage of this hot new transportation trend revolved around the rapid user growth and the substantial investments into the industry, it wasn’t long before major media outlets began to look into safety concerns. In a column for The Los Angeles Times in July, Robin Abcarian recounted stories of Bird-related crashes. “In March, a 39-year-old Los Angeles mother of six named Sharona Kaplan swerved to avoid a toddler who had run in front of her Bird on the beachside bike path in Santa Monica. Kaplan fell forward, breaking both bones in her right arm… Her health insurance says her car insurance should pay her medical bills; her car insurance says it won’t cover a crash on a two-wheeled vehicle,” she wrote. In Austin, Texas, leaders say the city should consider whether dockless-scooter companies should bear more responsibility in cases of crashes involving injuries that happen within city limits. “Among the most common scooter accidents are crashes with other scooters and pedestrians, cars hitting scooters, cars swerving to avoid them and scooters crashing into potholes. According to a New Orleans City Hall report quoted in The Gambit, in the first few months of 2018 alone, Bird scooters in Santa Monica, California, were involved in 575 traffic stops, received 273 traffic tickets and had nine accidents. In May, that ticked up to 1,400 stops and 600 citations.”. Even The New York Times editorial board weighed in on the matter. In an opinion piece, “Electric Scooters in New York City? They Just Might Work,” the editors argued scooters would help the city’s transportation woes, if the mayor got more serious about protecting pedestrians and riders. Who is assuming scooter risk? The risk and liability landscape for scooters and shared bikes remains ambiguous, to say the least. It could evolve similar to rideshare services, where specific insurance is offered either at the personal-user level or at the scooter-company level, or it could become a value-add to existing policies. As with any new trend in the digital age, the technology is advancing faster than regulation and legislation. While it is certain that the question of risk and liability will get sorted over time, the leaders in the industry would be wise to start thinking, before disruption happens, about how best to integrate and leverage this new transportation trend within the future of insurance.